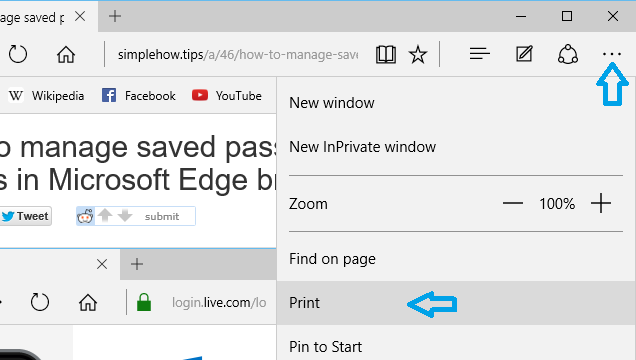 Open webpage that you want to print in Microsoft Edge. In "More actions" menu, Click on "Print" to open Print Settings dialog. In Print Settings dialog, select Printer that you want to use. 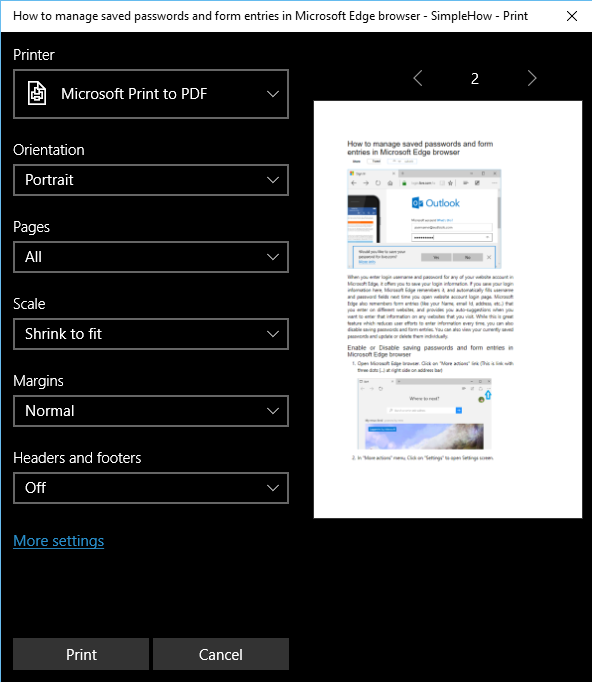 Select "Microsoft XPS Document Writer" if you want to print to XPS document or select "Microsoft Print to PDF" if you want to print webpage to PDF file. You can also select any physical printer to print webpage to paper. Select other print options like print orientation, pages that you want to print, scaling, margins and option to print page headers and footers. Click on "Print" button in Print Settings dialog to start printing current webpage to your selected printer. If you have selected Microsoft XPS or Print to PDF as Printer, Microsoft Edge will save generated XPS or PDF file to your Documents folder with current webpage title as file name.